Gripper Skis The standard in deep snow skis. Deep keel design offers great traction, wide design offers great flotation. Ski top dimples give great traction when you’re climbing around on them. No need to add aftermarket skis. Cargo Rack Enjoy the convenience of the large cargo area - which can accommodate a 5 gallon pail. RydeFX® MPV Shocks RydeFX® shocks provide a great foundation for ride and handling when boondocking with the Pro-Ride chassis. Tall Windshield Less wind = a warmer ride. 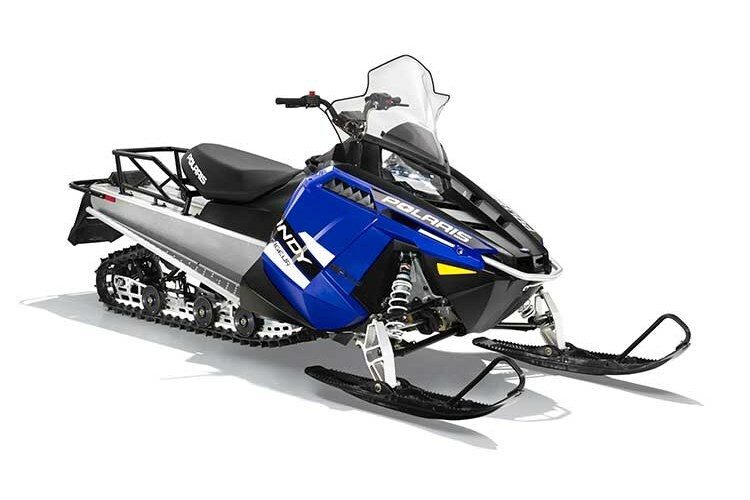 Designed for excellent coverage, this tall windshield directs wind and snow up and around the rider while the side panel-mounted wind deflectors force wind and snow outward, away from the rider. One-Piece Handlebar The new one-piece handlebar features clean, durable construction. It enhances ergonomics with full-length grips that improve comfort and control, and the heater elements extend to the ends of the bar for greater hand comfort. Handlebar & Steering Post Angle New INDY® 550 design - 15 degree flatter steering post angle developed for sitdown and standup riding comfort and flexibility.